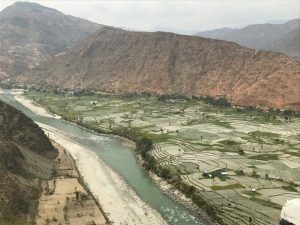 The extreme flooding in Nepal, India, and Bangladesh has resulted in damage and loss of life in Ramechhap, but not to the scale we are seeing in other places. Suresh Shrestha, our World Neighbours Partner, sent the following reports this month. Along with safety we were hoping there was a silver lining with all the rainfall and that the rainy season would recharge some of the water sources that had dried up over the past seven years of drought. It is still too early to tell. The clips below are all from Suresh. Aug 14, 2017. Due to last two days monsoon, there was heavy flood mainly in 21 districts in Terai (southern region) of Nepal. The death toll is 91, missing 38, injured 25. Over 50,000 houses have been reported submerged/affected by the flood. Due to this recent monsoon, there has not been any damage in Ramechhap. 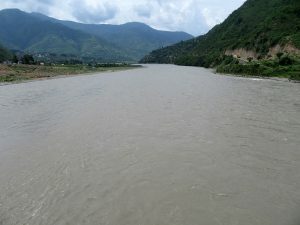 One month ago in Ramechhap, there was big flood in Khimti river (located 10 kms. distance from Manthali). It happened in the night time. The flood damaged few houses, killed 2 people and missed three people, not yet found. The total death was 5 people. 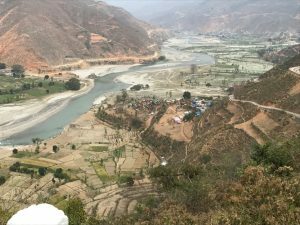 Since then, there is no any flood in Ramechhap. Four years ago, there was also flood in this same place that killed 8 people. 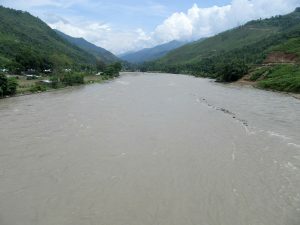 In this monsoon, the size of Tamakoshi river is big. We have less rain in middle part of Ramechhap, but there are more in higher areas. Aug 21, 2017. Despite the monsoon rain it is not known the recharge of water sources. In upper areas there is more rain, but the middle part has most drought. Despite the monsoon, the rainfall in less in drought area. We will keep you updated .